While men once dominated thanks largely to their size and strength, this advantage has been eroded in a post-industrial society. Male-dominated sectors like manufacturing continue to decline in the west while health care and services where women dominate are in the ascendant. In the US, 40% of women are out-earning their partners; females are recipients of more – and higher – degrees than their male counterparts; and 75% of couples in fertility clinics are requesting girls over boys. The boys’ club has begun to dissipate. Not only are feminine traits like social intelligence and open communication increasingly in demand, but women are also increasingly adopting traditional male traits such as aggression. Men, on the other hand, are struggling to make the same move in the other direction. If the past belonged to men, then the future belongs to women. A social equilibrium that existed for millennia has been disrupted – how will the parts settle after the upheaval? Does the rise of women mean the end of men? And what are the social implications of a change that potentially leaves half the population – an entire gender – useless for all but biological purposes (for now)? 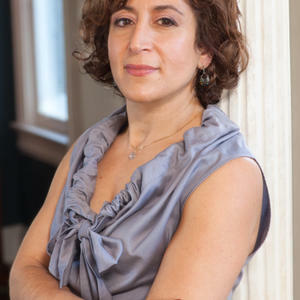 Hanna Rosin is an American journalist and author. She is a senior editor at The Atlantic and the editor and founder of DoubleX, Slate’s women’s section. 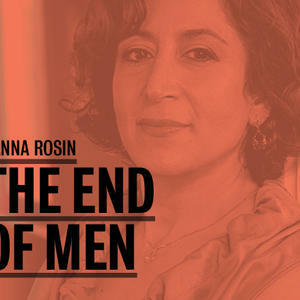 Her latest book is the bestselling The End of Men and the Rise of Women.